Joy, as defined by the dictionary, is a feeling of great pleasure and happiness. Yet, this definition wasn’t helping my understanding of King David’s greater joy than those who have abundant harvests. So I looked further. “Joy,” according to Theopedia: An Encyclopedia of Biblical Christianity,” is a state of mind and an orientation of the heart … a settled state of contentment, confidence and hope … something or someone that provides a source of happiness … something that is deep within and doesn’t leave quickly … Joy is given by God and something that He wants us to have…” (emphasis mine). To experience joy, I discovered, I needed to understand that joy is actually about who I’m seeking, rather than what I’m seeking. 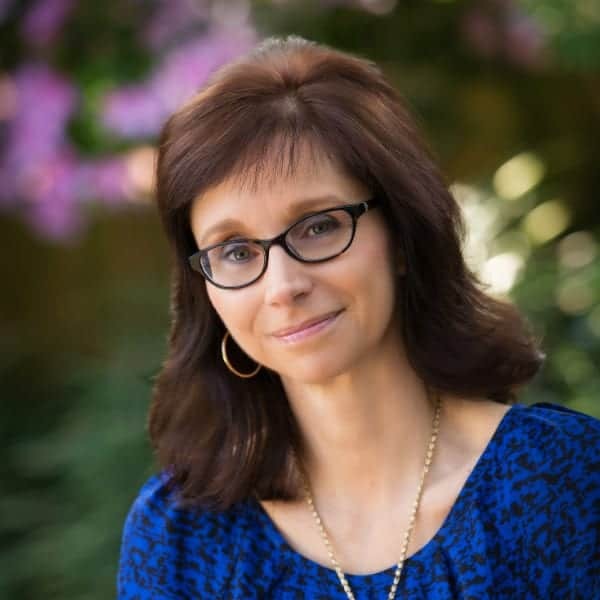 In this season rife with “abundance” – an excess of gifts, debt, expectations, obligations, and the list goes on, I have the perfect opportunity to refocus, to seek first my Heavenly Father, whose love is sufficient and abundant, far greater than western culture excess, which pales by comparison. 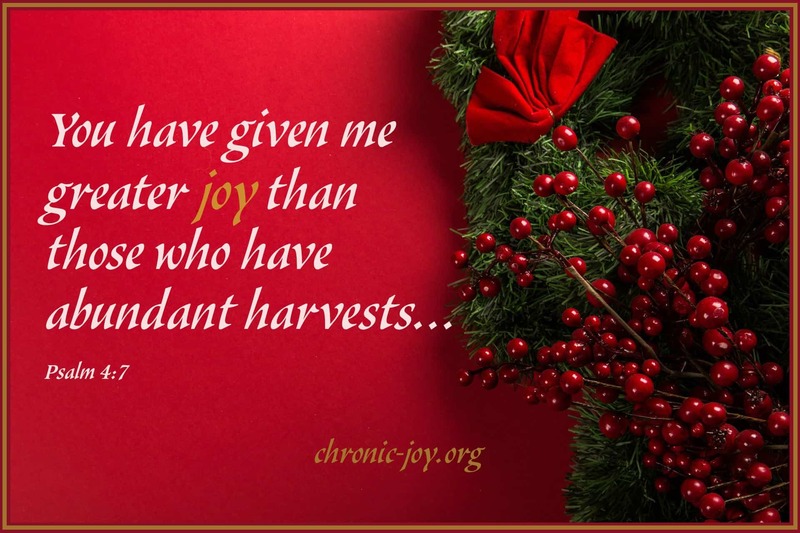 Yet how can I have great joy when I am simply unwell again? My year long journey in joy has lead me to simple, yet hard choices. First, I must be willing to hope. This can be a difficult choice, but a single step helps me to take the next and then the next, for hope is tiny seed that must be nurtured, watered, and spend lots of time in the Son. I’ve had to learn that my purpose isn’t defined by what I do, don’t do, can do, or can’t do. Instead, through His great exhale, God breathes life and purpose into the very fibers of who I am. The Holy Spirit living in me makes my purpose clear – to love God with all my heart, soul, mind, and strength and to love others as I love myself. I continue to learn that worth is not a measurement stick. It’s not about how much I accomplish or how well I do anything. Worth is given to me by the One who says, you are my beloved and I delight in you, I am pleased with you. I don’t need to measure up to any other expectations, including my own. Finally, my journey led me to joy. To taste joy in the midst of what previously drove me to survival mode came through seeking beauty in small moments. These moments are the gifts right before my eyes, but they are also the ones I can easily miss. Hope. Purpose. Worth. Joy. I have been led full circle. “You have given me greater joy,” has becomes my refrain of gratitude to the Father for the gift of His Son. Joy in the presence of Jesus – Emmanuel – God with us, always. This month I encourage you to lean into your own JOY STORY. It may be just beginning – a single step of hope, but it will lead you straight into the Father’s waiting arms. I love that hope is part of joy! For as God sows seeds of Hope, Purpose, Worth and Joy into us day-by-day, we experience a deeper love for Him and a deeper connection with others. There could be no greater joy! Direct me, O Lord, in all my doings with your most gracious favor, and further me with your continual help; that in all my work begun, continued, and ended in you, I may glorify your holy name, and finally, by your mercy, obtain everlasting life; through Jesus Christ my Lord. Praying for our community to experience a deeper sense of God’s love. Praying for each of you to take the next step on your Joy Journey. Thankful to our Heavenly Father for sowing seeds of hope, purpose, worth and joy into the fibers of our beings. Praying for those experiencing difficult circumstances. Praying over the prayer requests received from our community. Prayer is the heartbeat of Chronic Joy Ministry. We are honored and blessed to pray with and for you.